Acne is caused by pores which become clogged and then infected with bacteria. It is not necessarily caused by diet or lack of hygiene. Acne treatments typically aim to destroy the bacteria or improve the function of the skin so it does not become clogged. Eliminate Cellulite and Promote Weight Loss! More than 90% of women have cellulite, but now there are a few options to get rid of it. 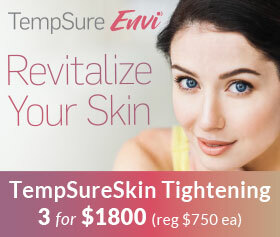 Elastin and collagen are proteins in the skin's underlying layers that give it firmness and elasticity. As we age, skin begins to lose its elastin fibers. Thinning and degeneration of elastin over time cause wrinkles, 'worry' and 'laugh' lines, sagging, and crepey rippled skin. Aging skin also loses collagen at the rate of about one percent each year--and even faster if exposed to sunlight. The loss of collagen causes skin to sag and droop. Gravity, the slackening of muscles, and the loss of collagen all contribute to the sagging, wrinkling skin of advancing age. With advancements is cosmetics, you don't have to accept the sag! Here's what can help. Sun damage of the skin, also known as photo damage can be either acute, as in a sunburn or more commonly, chronic, seen as gradual changes in the skin caused by an accumulation of sun exposure throughout one's life. Chronic photo damage results in either a cosmetic change in the skin's appearance called photo aging. Fine and coarse wrinkles are seen and there is a roughness to the skin and a laxity or looseness in advanced damage, patchy or mottled darker patches of increased pigmentation are seen also. Sun Damage can be reversed in many cases and we are here to help with the most advanced treatments offered. Many of us have those tiny red facial blood vessels on your cheeks, around the nose, or under the eyes, hair line and chin. The medical term for these facial blood vessels is telangiectasias. Fortunately, we have extensive experience making these facial blood vessels disappear right in front of your eyes with our laser techniques. Permanently reduce unwanted hair anywhere on the body with our IPL hair removal. It's fast, safe, and effective. Learn more about it now. Hyperpigmentation is the darkening of an area of skin caused by increased melanin due to sun damage, inflammation, or other skin injuries, or acne. Melasma is a hyperpigmentary disorder of the skin characterized by dark spots or blotches on the face, forehead and neck. It is triggered by both sun exposure and hormonal changes during pregnancy. You can have a youthful appearance by treating these conditions that are typically associated with premature signs of aging and sun damage. Uneven texture and big pores make skin look dull and unhealthy. Natural exfoliation, dehydration, past damage, sun exposure, and free radical damage can all contribute to an uneven complexion. Radiance Medspa offers a number of treatments that can help improve texture and reduce pore size, just take a look. As we age, our skin can develop these dark pigmentations, we call solar lentigines, more commonly known as age spots. They are a constant reminder that our skin has seen better days, but they don't have to be. Science has developed new treatments which are able to renew and improve our skin by removing these age spots. 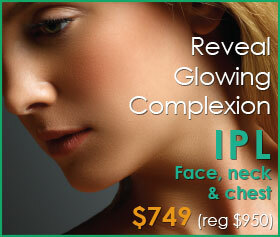 These treatments are highly effective at reducing or removing the dark spots on the skin. And if we remain out of the sun, they do not have to come back. Lighten Up! With our fast and safe cosmetic teeth whitening, you can lighten up to 7 shades in 60 minutes! Shrink it, smooth it, destroy it, eliminate it. 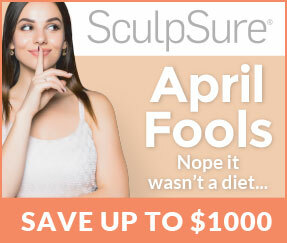 We have treatments for any Body size or shape. Spider veins are clusters of thin red, blue, or purple colored veins resembling spider legs that appear on the thighs, calves, ankles, and sometimes the face. Everyone will develop fine lines and wrinkles at some point in their life, but thanks to a range of treatment options at Radiance Medspa, you don't have to keep them. Wrinkles occur because of a breakdown in the skin's natural support layers due to factors such as pollution, overexposure to the sun, and smoking, as well as the body's natural ageing process. But now it's possible for both men and women to improve their overall appearance and obtain a fresher, brighter look. The eyes are focal point of the face and contribute substantially to your overall facial appearance. Bags beneath the eyes, wrinkled drooping layers of skin on the eyelids, and sagging eyebrows give the entire face a perpetually tired or sad expression. We can help to improve creepiness, sagging, and droopy brows without surgery! Let our massage and reflexology whisk you away to another place. Dermal fillers like offer a safe and effective nonsurgical option for restoring fullness to the lips. Augmentation can be simple and subtle or dramatic, but you can trust us to deliver the look you want in just under an hour. As we age, our skin changes. Over time, the natural volume of youthful skin begins to diminish as wrinkles and folds form. But, with Botox and dermal fillers, you don't have to just sit back and let it happen! Dermal fillers like offer a safe and effective nonsurgical option for restoring fullness to the skin by correcting moderate to severe facial wrinkles and folds, smiles lines, plump lips, fill in lost volume, and augment cheeks. 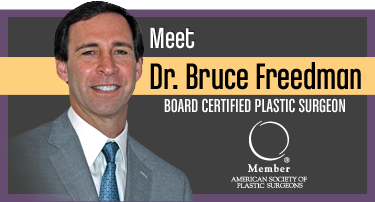 In fact, they are the fastest growing nonsurgical aesthetic procedure in the United States. 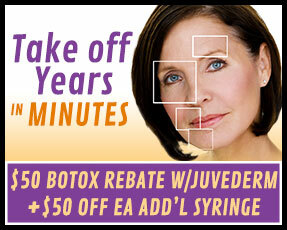 Trust us to help you look the age you feel. Why worry when you can stop the sweat! See how the same botox that helps wrinkles, also relieves underarm sweating. Try it and be free. At Radiance Medspa, we focus not only on skin care, but overall wellness. Introducing customized vitamins by Ideal Health, and customized weight loss through Doctor's Weight Loss Centers. Talk to us about how your whole body can look and feel its best. Many see your true age in your hands. Our most often used tools are sometimes ignored. Keep your hands looking as young as you feel with some very simple treatments that firm and reduce age spots. Turn back the hands of time. As we age, it sometimes shows as a hollowing or loss of volume under the eye area. The appearance can be slightly sunken or even cast shadows looking like dark circles. Under the eyes can be refreshed and help you look rested and younger. You know those horizontal lines that really tell your age. We can help that area too.